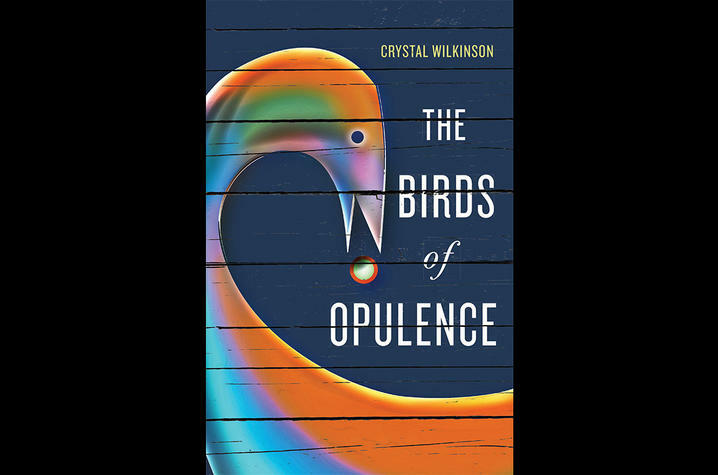 LEXINGTON, Ky. (Sept. 6, 2018) — University of Kentucky Associate Professor of English and University Press of Kentucky author Crystal Wilkinson’s novel, “The Birds of Opulence,” has been named the winner of the 2016 Appalachian Writers Association's Appalachian Book of the Year for Fiction. The multigenerational novel follows four generations of women in a bucolic southern black township as they live with and sometimes surrender to madness. This marks the fourth award “The Birds of Opulence” has won, including the Ernest J. Gaines Award for Literary Excellence, the Weatherford Award for Fiction and the Judy Gaines Young Book Award. The AWA’s mission is to recognize and promote writing about the Appalachian region. It works to celebrate writers who are living or have lived in the Appalachian region and those who have significant Appalachian connections through heritage or scholarship. The AWA currently gives out three annual Book of the Year Awards, one each in poetry, fiction and nonfiction. The awards were announced at the Mountain Heritage Literary Festival at Lincoln Memorial University earlier this summer, and because of a lapse in offering the awards, winners for the last two years were announced at the 2018 festival. “The Birds of Opulence” joins “The New and Collected Poems of Jane Gentry,” edited by UK Professor of English Julia Johnson, which was named Appalachian Book of the Year in Poetry for 2017. The AWA award caps off a banner summer for the Lexington author and her most recent book. Earlier this year, “The Birds of Opulence” was included in Book Benches: A Tribute to Kentucky Authors, a collaboration between Arts Connect, LexArts and the Carnegie Center for Literacy and Learning. The public art project features 36 functional, book-shaped benches, each illustrated and themed around a different work by a Kentucky author. The benches have been placed throughout Lexington to encourage reading and provide a place for rest. Wilkinson’s bench, designed by Bowling Green artist Lora Gill will be installed along South Limestone in front of the University Press of Kentucky office in November. In addition to garnering awards and serving as the inspiration for public art, “The Birds of Opulence” was also named the debut selection of the Open Canon Book Club. The club was created by New York Times bestselling author Wiley Cash to introduce readers to voices and portrayals of the American experience they may not have otherwise encountered in their day-to-day lives, their education or their book club meetings. Each month, Cash will post discussion questions and host live book club discussions online and in independent bookstores. Many bookstores across the country will be extending their book club discounts (between 10–20 percent) to members of the Open Canon Book Club. Participating bookstores in Kentucky include Joseph-Beth Booksellers (Lexington), Joseph-Beth Booksellers (Crestview Hills) and Carmichael's Bookstore (Louisville). “The Birds of Opulence” is not the only one of Wilkinson’s books that has gotten attention this summer. Her second short story collection, “Water Street,” has been selected as the One Book Read at West Kentucky Community and Technical College. The program is a community-wide effort to help eliminate illiteracy in the region, with faculty and staff at WKCTC collaborating with many local and college partners to promote reading. The program will culminate in a two-day visit to WKCTC by Wilkinson to speak to both community and college audiences on March 12 and 13, 2019. Wilkinson’s work has earned her personal honors as well. The Appalachian Heritage Writer-in-Residence Committee and the West Virginia Center for the Book selected her for the Appalachian Heritage Writer's Award. Previous recipients include Henry Louis Gates, Charles Frazier, Frank X Walker, Denise Giardina, Silas House and others. In conjunction with the award, she will be the One Book, One West Virginia Author for 2019, and “Water Street” will be read by students across the state. In addition, Wilkinson has gained speaker representation from Authors Unbound, which will broker her events in the form of literary engagements, one book programs, distinguished lectures, keynote appearances, community visits and a variety of signature events. She was also named the 2018 Clinton and Mary Opal Moore Appalachian Writer-in-Residence at Murray State University. The Moore Residency was created to strengthen literary connections between Appalachia and Western Kentucky while enhancing the creative and professional growth of students pursuing their MFA at Murray State. Wilkinson is an associate professor of English in the Master of Fine Arts in Creative Writing Program at UK Department of English in the College of Arts and Sciences. Further information on Crystal Wilkinson, her books and upcoming events can be found on her new author website: www.crystalewilkinson.net/.